Free things in Reykjavik can be hard to find for travelers, and many are still considered insider travel tips. 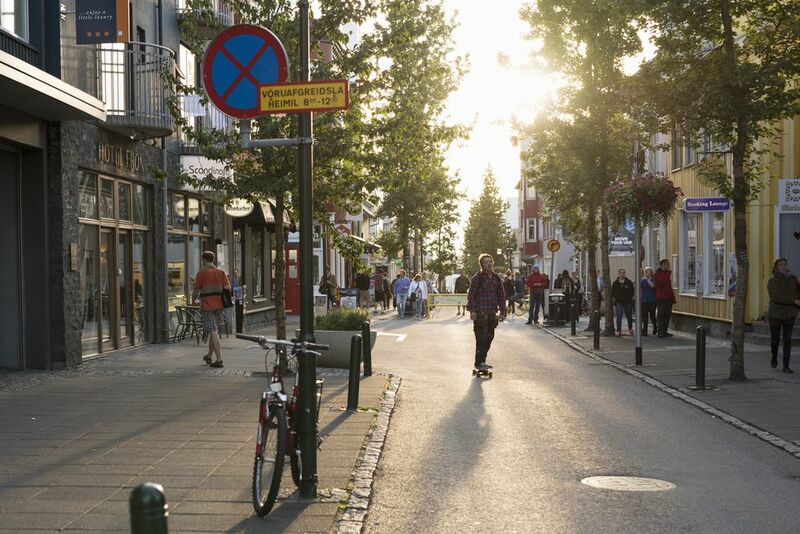 For our readers, we've put together a list of Reykjavik's best free things here. This is a free walking tour (2 hours in length) for Reykjavik visitors. It departs almost daily, and no matter what the weather in Iceland is that day. You'll be walking along with a fellow budget traveler leading the tour. Other guided tours of Iceland have less walking and more driving (for the less fit among us) but aren't free. Hallgrimskirkja Church is also on the list of Reykjavik's top attractions! It's definitely an important attraction with lots of Icelandic history. The grounds also house a statue to the first Viking said to have discovered America, Leifur Eiríksson. The Nave is open to the public daily. Mount Esja (also called Esjan) is a popular recreational destination found just 6 mi (10 km) north of Reykjavik. The views from Mount Esja will inspire any photographer, while the volcanic mountain range is beautiful to look at. There are hiking trails to the summits of the Pverfellshorn and Kerholakambur. Have you ever wanted to simply compare the prices from all the big travel websites at once? Expedia lets travelers do just that. No matter where you're going, be smarter than other travelers and compare all those big travel sites easily. I know the card isn't absolutely free, but for just a few Euros, you'll get maximum savings everywhere in Reykjavik. The Voyager Card is good for traveler discounts at restaurants, shops in Reykjavik, car rentals, accommodation, beauty salons, book, and music purchases, and lots of other places in Iceland.